With the resurgence of Northern Liberties happening, we have been receiving calls from young professional customers who are looking for a newer more energy efficient way to light their homes. 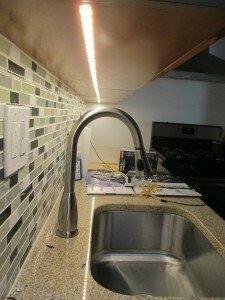 The number one question we receive is about LED lighting and the different ways they can be installed to help lower that PECO electric bill. 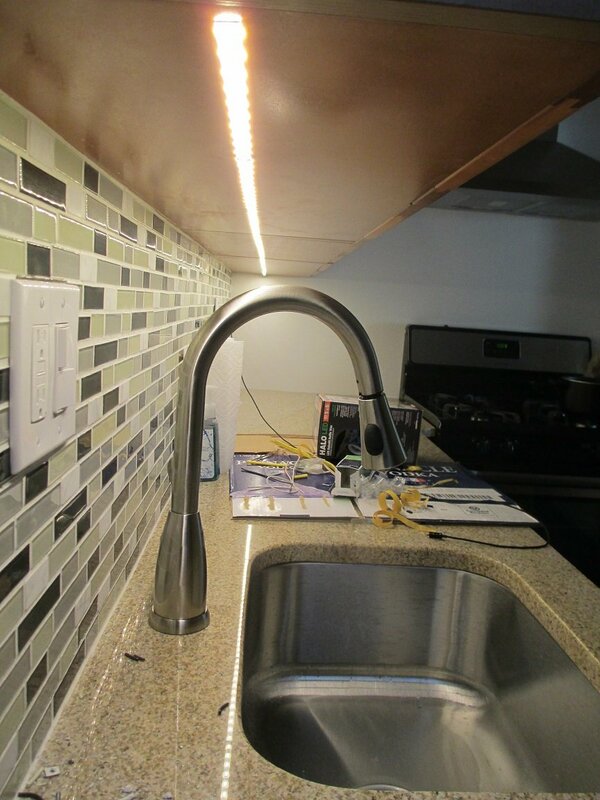 When it comes to under cabinet lighting, LED is the hot new trend. 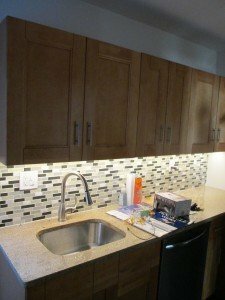 The kitchen in the pictures did not have under cabinet lighting and the customer wanted something with minimal exposure. 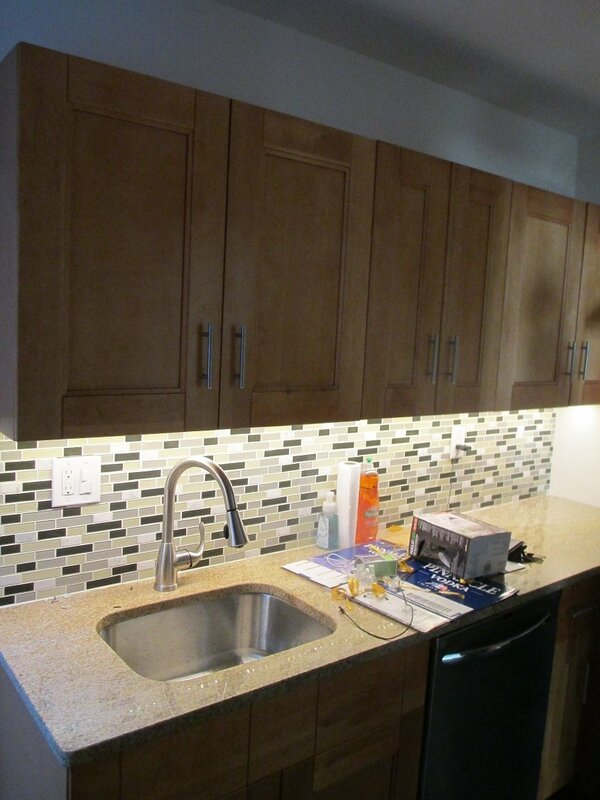 However, the cabinets did not have a lip on the bottom of them to hide most types of under cabinet lights. The answer to the problem was WAC “InvisiLED”, which is a very thin LED tape lighting. This product gives off a very even light with the bulbs evenly spaced throughout the tape. The customers were very happy with the recommendation and installation of this type of light. If you have lighting questions, contact your Philadelphia licensed electrician Lauterborn Electric. Click Images to enlarge.